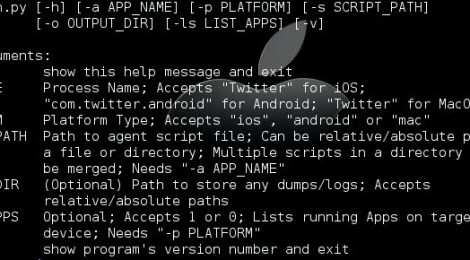 Browse: Home / Appmon – Runtime Security Testing Framework for iOS, Mac OS X and Android Apps. AppMon is my vision is to make become the Mac OS X/iOS/Android equivalent of the this project apimonitor and GreaseMonkey. This should become a useful tool for the mobile penetration testers to validate the security issues report by a source code scanner and by inspecting the APIs in runtime and monitoring the app’s overall activity and focus on things that seem suspicious. You can also use pre-defined user-scripts to modify the app’s functionality/logic in the runtime e.g. spoofing the DeviceID, spoofing the GPS co-ordinates, faking In-App purchases, bypassing TouchID etc. + UserDefaults (SharedPreferences equiv.) & more. ← Nishang v0.6.7 – PowerShell for penetration testing and offensive security.